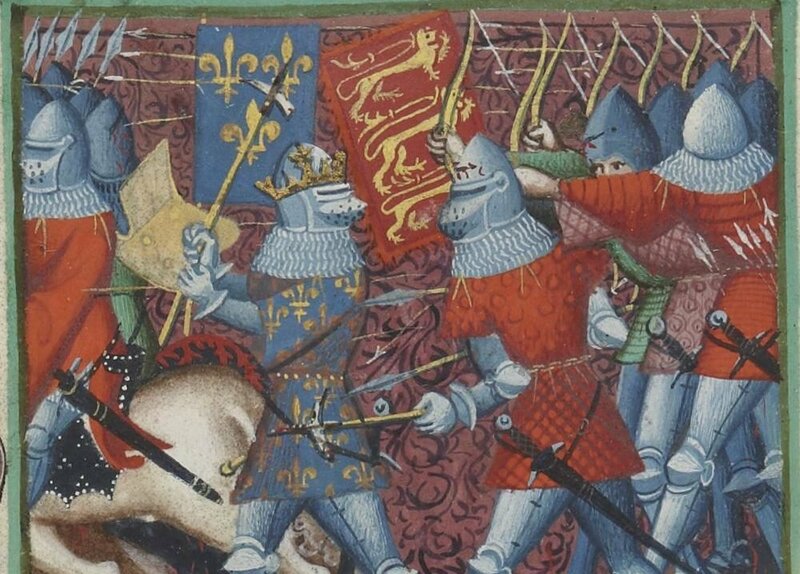 Episode 3 of The Medieval Podcast – The Hundred Years’ War would see England and France fighting for much the 14th and 15th centuries. It was one of the most important conflicts of the Middle Ages. Danièle speaks with Dr. David Green of Harlaxton College, the author of The Hundred Years War: A People’s History. They talk about the causes of the war, and how the conflict impacted peasants, the Church, soldiers and women. David Green is Senior Lecturer in British Studies and History at Harlaxton College. Click here to view his faculty page or see his work on Academia.edu. You can also follow him on Twitter @David1356. His book The Hundred Years War: A People’s History, is published by Yale University Press. Click here to visit the publisher’s website for more information or buy it through Amazon.com.